These stylish grocery list notepads are perfect for any busy woman who likes to keep it simple. 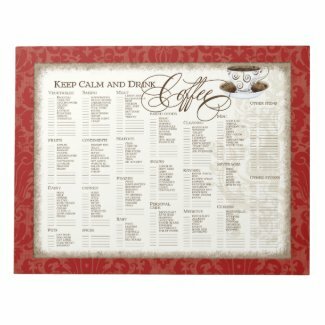 Each sheet lists common grocery items and even has blank spaces to fill in other items not included on the list. There are 40 sheets in each notepad. Don't stress out over grocery shopping. 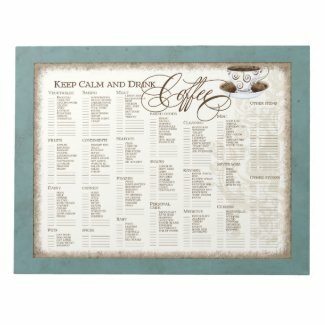 Keep calm, drink coffee, and let these lists do all the work!